We are extremely fortunate to have gathered a group of well respected professionals, who have come together in community, to serve each other and the public through the People Shine Project. 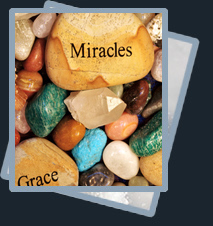 Our teachers and leaders run the gamut from life coaches, wellness coaches, ministers, spiritual teachers, meditation masters, to shamanic practitioners, energy medicine practitioners (including Reiki, Theta, Feng Shui, sound and crystal healing), massage therapists, ceremonialists, hypnotherapists, plus artists, musicians, yoga and Tai Chi instructors, as well as business and career consultants and marketing experts. Most of the classes and gatherings we offer are facilitated on a volunteer basis, as a way for these professionals to give back to the community. 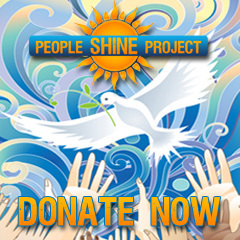 As a result and through their generosity we are afforded the opportunity to make available to the public through the People Shine Project these extraordinary services and classes at very affordable rates. This allows people to not only participate in integrative medicine practices to promote self directed personal care, but actually provides the means under one roof for them to experience a variety of more holistic lifestyle choices. In addition to our weekly, bi-weekly and monthly classes, we also provide a unique and dynamic variety of one time special events, workshops and other activities each month. Most of our facilitators are also available for private consultations or one on one sessions. Please contact us if you are a professional or teacher and would like to offer your services through the People Shine Project to the Southwest Florida community. All of our services are open to the public and usually do not require an RSVP. We have an open door policy and invite everyone to "come as you are". We will continue expand our offerings and to refine our programming in response to the needs of the community. Click here to see our full calendar of events.